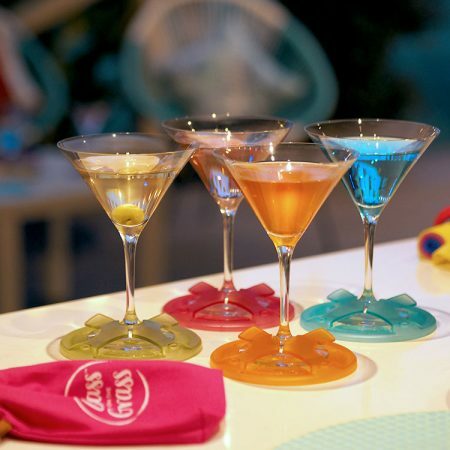 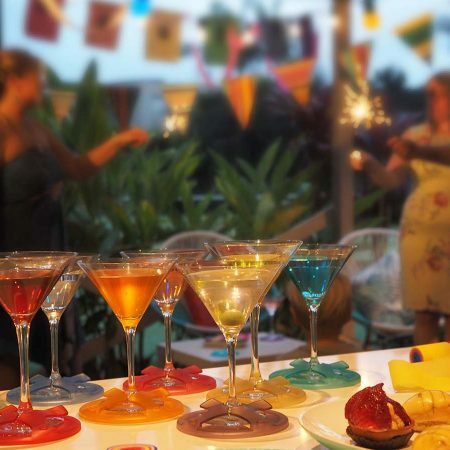 Turn your wine glass into the perfect cocktail glass by slipping a base on. 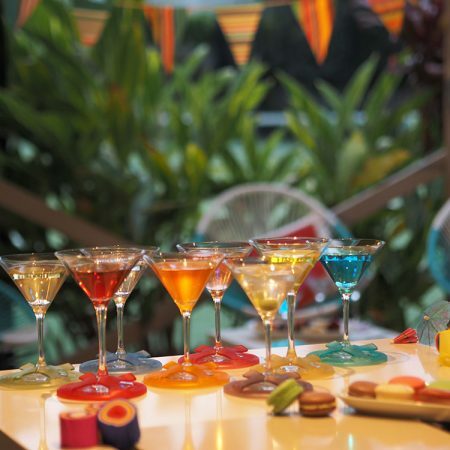 Know which glass is yours and because they make your glass more stable you spill less of your precious drink. 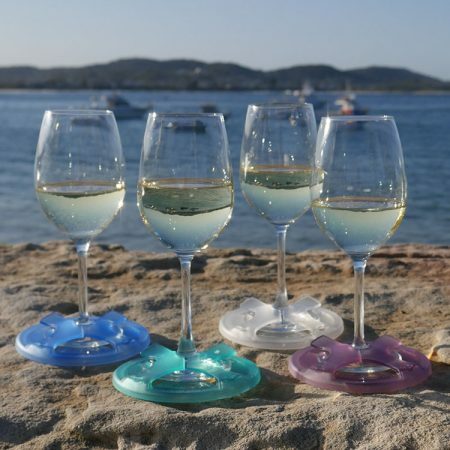 Best of all they turn an indoor wine glass into an outdoor glass without having to drink out of plastic. 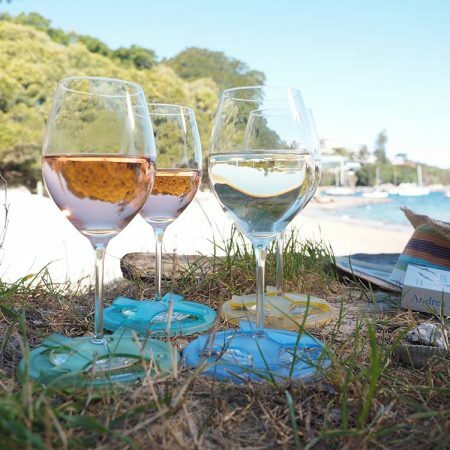 They are perfect for picnics, pools and BBQs. 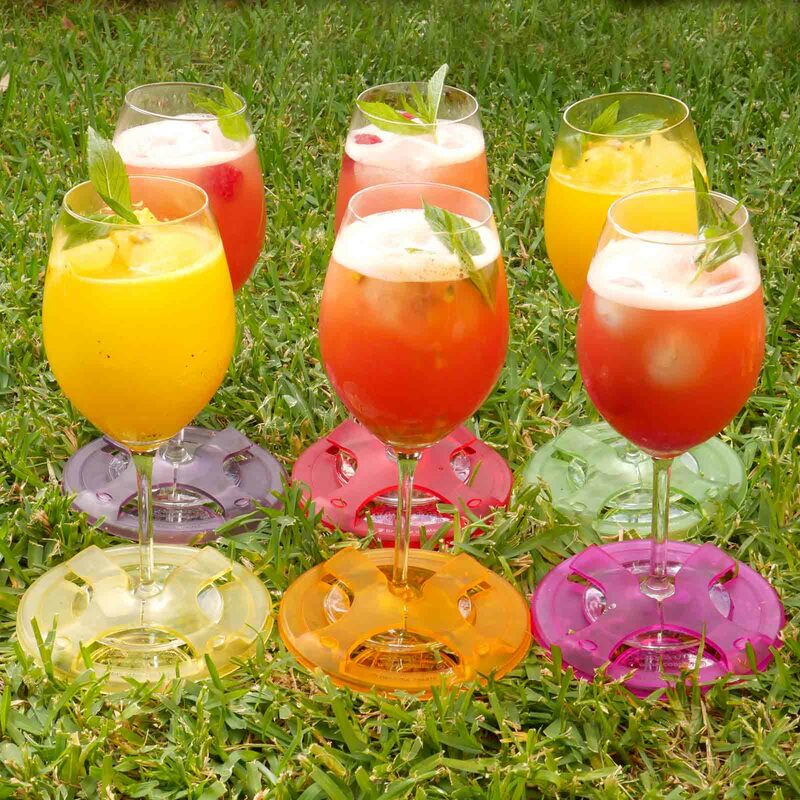 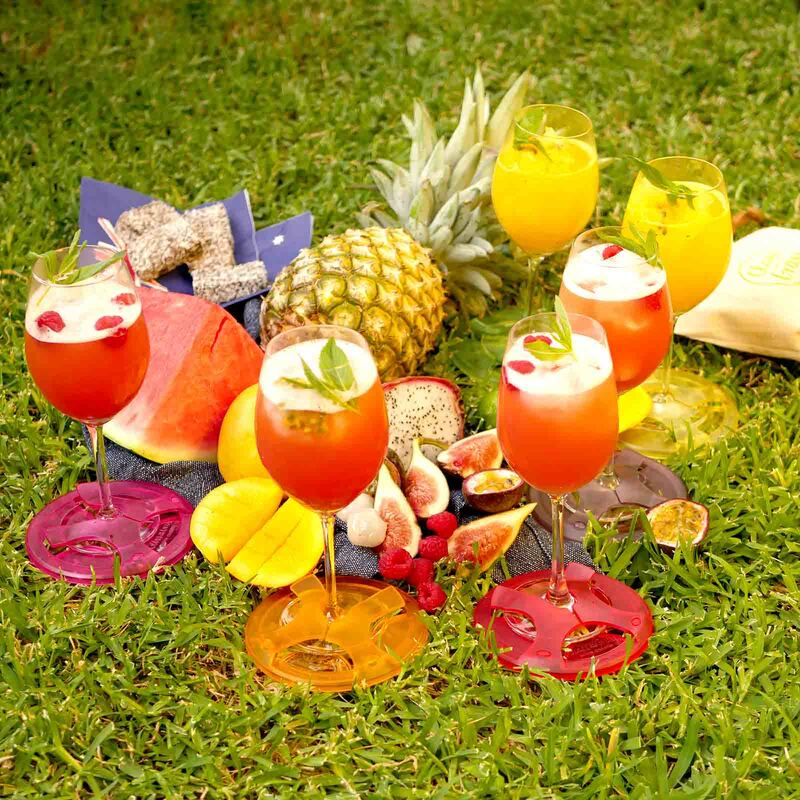 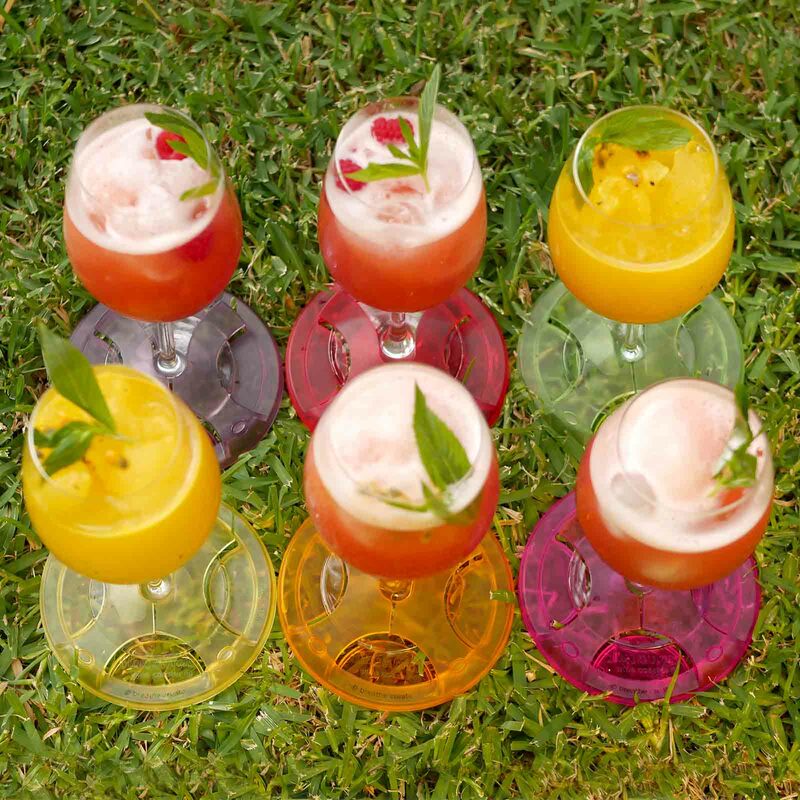 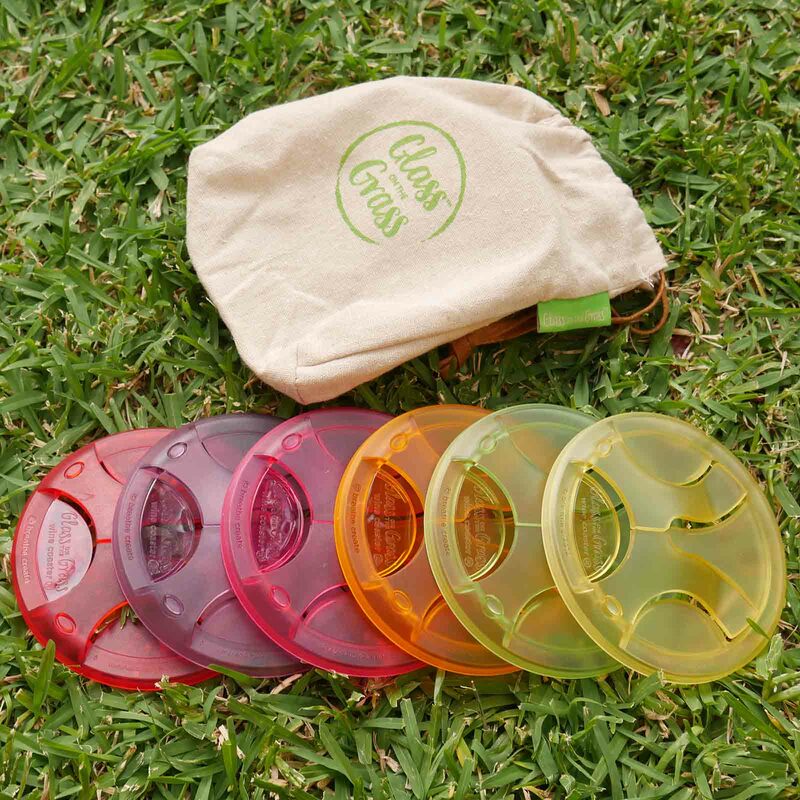 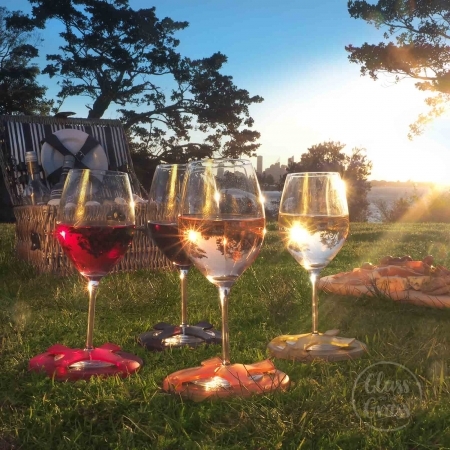 Our Tropical 6 pack contains one of each of the following Glass on the Grass™ wine glass base – Violet, Ruby, Hot Pink, Grass, Gold and Tangerine.